Vanguard, Goodman's Yard, London Cartage Committee - Lance Corporal 12332, 6th Battalion, Bedfordshire Regiment. Killed in action 15 July 1916. Born and resident Bethnal Green, Middlesex. Joined Great Eastern Railway July 1909. Enlisted in St. Paul's Churchyard, London. No known grave. Commemorated at THIEPVAL MEMORIAL, Somme, France. Pier and Face 2 C.
Platelayer's Labourer - Rifleman R/13352, 8th Battalion, King's Royal Rifle Corps. Died of wounds 4 April 1918. Aged 33. Born and resident Feering, Essex. Son of Alice Priscilla Hagreen, of Hanover Bridge, Feering, Essex, and the late Hardy Hagreen. His brothers Herbert Clifford Hagreen and Fredrick Hagreen also fell. Enlisted in Colchester. In the 1891 census he was aged 6, born Essex, a scholar, resident with his parents, Edward H and Alice R Hagreen, resident in Farm Cottage on G. E. Railway, Hill House Road, Feering, Braintree, Essex. No known grave. In the 1911 census he was aged 25, born Witham, Essex, a Platelayer's Labourer, resident with his mother, Alice Hagreen, in Hanover Square, Feering, Kelvedon, Essex. Commemorated on POZIERES MEMORIAL, Somme, France. Panel 61 to 64. Signal Box Lad, Lea Bridge - Private CH/18713, Deal Battalion, Royal Naval Division, Royal Marine Light Infantry. Died of wounds in 3rd (R.N.) Field Ambulance 18 July 1915 from shtogun wounds causing severe fractured jaw received 17 July 1915. Aged 19. Born 2 December 1896 in Tottenham, London. Son of Robert and Emma Halcrow, of 114, Paxton Road, Tottenham, London N.17. Joined Great Eastern Railway circa 1911. Enlisted 18 August 1914 in London. With Royal Marine brigade 13 September 1914 to 18 July 1915, Mesopotamian Field Force 28 February 1915 to 18 July 1915. In the 1901 census he was aged 4, born Tottenham. resident with his parents, Robert and Emma Halcrow, at 19, Manor Road, Tottenham, Edmonton, Middlesex. On enlistment he was a Railway Porter, religious denomination Church of England, height 5 feet 6 inches, fresh complexion, brown eyes, brown hair. Buried in SKEW BRIDGE CEMETERY, Turkey (including Gallipoli). Grave lost. Special Memorial Section B. Grave 23. Fireman, Continental Traffic Manager's Department - Greaser 912040, H.M.S. "Louvan", Mercantile Marine Reserve. Died when his ship was sunk in the Eastern Mediterranean 21 January 1918. Husband of Martha A. Hales, of 6, Myrtle St., Canning Street, Bathside. Joined Great Eastern Railway 7 March 1898. In the 1901 census he was aged 25, a Steamship Stoker, born Harwich. married to Martha, resident 10, Canning Street, Harwich St Nicholas, Tendring, Essex. No known grave. Commemorated at PLYMOUTH NAVAL MEMORIAL, Devon. Panel 30. Porter, Gidea Park - Private 22453, 7th Battalion, The Buffs (East Kent Regiment). Died of wounds 14 October 1917. Aged 22. Born South Weald, Essex. Resident Brentwood, Essex. Son of Charles William and Ellen Hall; husband of Florence Louisa Hall, of 49, North St., Mare St., Hackney, London. Joined Great Eastern Railway 1915. Enlisted 1917 in Warley, Essex. Buried in DOZINGHEM MILITARY CEMETERY, West-Vlaanderen, Belgium. Plot XII. Row H. Grave 14. Draughtsman/Engineer, Chief Mechanical Engineer's Department, Stratford - 6th Engineer, R.F.A. "Reliance", Mercantile Marine. Died of enteric fever at Moudros 11 September 1915. Aged 22. Born Hammersmith 8 May 1893. Son of Frederick and Annie Hall, of 25, Bolingbroke Rd., West Kensington, London. Born at Hammersmith, London. Joined Great Eastern Railway 14 March 1910. Enlisted in Royal Naval Transport Service 22 May 1915. Buried IN EAST MUDROS MILITARY CEMETERY, Greece. Plot II. Row N. Grave 238. Vanshifter, Bishopsgate, London Cartage Committee - Private 283823, 4th (City of London) Battalion (Royal Fusiliers), London Regiment. Died of wounds 21 June 1917. Aged 19. Born and resident Stoke Newington. Son of Charles Edward and Sarah May Hall, of 11, Lilian St., Hawkesby Rd., Stoke Newington, London. Joined Great Eastern Railway 30 August 1911. Enlisted Shorediteh. Buried in ST. SEVER CEMETERY EXTENSION, ROUEN, Seine-Maritime, France. Section P. Plot II. Row P. Grave 2A. Signalman, Stoke Newington - Private 114484, 9th Battalion, Machine Gun Corps (Infantry). Killed in action 21 March 1918. Aged 26. Born Altwick, Herts. Son of William and Alice Hall, of Hamels Rd., Buntingford, Herts. A Great Eastern Railway Signalman. Joined Great Eastern Railway circa 1910. Enlisted July 1917 in Tottenham. Formerly G/87306, Duke of Cambridge's Own (Middlesex Regiment). No known grave. Commemorated at POZIERES MEMORIAL, Somme, France. Panel 90 to 93. Porter Guard, Liverpool Street - Private 38287, 9th Battalion, King's Own (Yorkshire Light Infantry). Killed in action 26 September 1916. Aged 25. Born Tottenham, Middlesex. Joined Great Eastern Railway August 1910. Enlisted 1914 in Shoreham. Formerly 2857, Royal Fusiliers. No known grave. Commemorated on THIEPVAL MEMORIAL, Somme, France. Pier and Face 11 C and 12 A.
Fireman - Fireman, "Copenhagen" (Harwich), Mercantile Marine. Killed by an explosion when his ship was torpedoed 5 March 1917. Aged 56. Husband of Kate Amelia Hammond (nee Upson), of Glen Cottage, Albemarle Street, Harwich. In the 1881 census he was aged 19, born Harwich, a Fisherman, resident with his parents, Robert and Catherine Hammond, at 19, Daniel Street, Harwich St Nicholas, Tendring, Essex. In the 1891 census he was aged 29, born Essex, a Coal Porter, married to Kate, one daughter and one son, resident Daniels Street, Harwich, Tendring, Essex. In the 1901 census he was aged 38, born Harwich, a Coal Porter Railway Service, married to Kate, three sons and three daughters, resident in Myrtle Cottages, 2, Harwich St Nicholas, Tendring, Essex. No known grave. Commemorated on TOWER HILL MEMORIAL, London. Goods Porter, Goodmayes - Private 52953, 17th Battalion, The King's (Liverpool Regiment). Killed in action 12 October 1916. Aged 22. BornAlton, Hampshire, resident Romford, Essex. Son of Kate Blanche Hammond, of 27, Vine St., Romford, Essex, and the late James Hammond. Joined Great Eastern Railway July 1914. Enlisted November 1915 in Ilford, Essex. Formerly 23570, Essex Regiment. Buried in WARLENCOURT BRITISH CEMETERY, Pas de Calais, France. Plot II. Row B. Grave 2. Clerk, Liverpool Street, Chief Traffic Manager's Office - Corporal 880954 [CWGC] or 880945 [SDGW], "C" Battery, 242nd Brigade, Royal Field Artillery. Killed in action 18 October 1917. Aged 35. Born Leyton, Essex. Son of Mr. and Mrs. F. P. Hammond; husband of the late Florence Emily Hammond. Native of Woolwich, London. Joined Great Eastern Railway April 1898. Enlisted July 1915 in Romford, Essex. Buried in LA CLYTTE MILITARY CEMETERY, West-Vlaanderen, Belgium. Plot III. Row E. Grave 10. Horsekeeper, Bishopsgate, London Cartage Committee - Private 8674, 2nd Battalion, York and Lancaster Regiment. Killed in action 12 October 1916. Born Southwark, Surrey. Resident Edmonton, Middlesex. Joined Great Eastern Railway November 1912. Reservist. Enlisted in Stratford, Essex. No known grave. Commemorated at THIEPVAL MEMORIAL, Somme, France. Pier and Face 14 A and 14 B.
Carriage Attendant, Liverpool Street - Sergeant TF/200139, 1st/7th Battalion, Duke of Cambridge's Own (Middlesex Regiment). Killed in action 14 August 1917. Aged 23. Born Tottenham, Middlesex. Son of William and Mary Hanson, of 15, Chalgrove Rd., Tottenham, London. Native of Edmonton, London. Joined Great Eastern Railway March 1909. Territorial. Enlisted in Tottenham, Middlesex. Buried in BIRR CROSS ROADS CEMETERY, West-Vlaanderen, Belgium. Plot III. Row C. Grave 16. Coalman, Lincoln, Locomotive Department - Private 8226, 2nd Battalion, King's Own (Yorkshire Light Infantry). Killed in action 16 September 1914. Born 15 September 1885 in Tinsel St. Lincoln. Joined Great Eastern Railway 4 December 1912. Reservist. Enlisted Doncaster. No known grave. Commemorated on LA FERTE-SOUS-JOUARRE MEMORIAL, Seine-et-Marne, France. See also Lincoln and Lincoln St Nicholas. Clerk, Goods Agent's Office, Bishopsgate - Rifleman R/32125, 13th Battalion, King's Royal Rifle Corps. Killed in action 23 April 1917. Aged 19. Born Walthamstow, Essex.Son of G. A. and Edith M. Harding, of 26, Farnan Avenue, Walthamstow, Essex. Joined Great Eastern Railway 1912. Enlisted in Walthamstow, Essex. No known grave. Commemorated on ARRAS MEMORIAL, Pas de Calais, France. Bay 7. Booking Clerk - Driver 123340, Royal Field Artillery. Died after contracting malaria in India (now Pakistan) 26 October 1916. Aged 29. Born Epping, Essex. Joined Great Eastern Railway May 1902. Enlisted March 1912 in Epping, Essex. Buried in RAWALPINDI WAR CEMETERY, Pakistan. Plot 1. Row G. Grave 6. Goods Clerk, Stowmarket - Sapper 218699, 19th Light Railway Train Crew Company, Royal Engineers. Died 28 March 1918. Aged 22. Born Braintree, Essex. Resident Stowmarket, Suffolk. Son of William and Mary Anne Harrington, of 25, Notley Rd., Braintree, Essex. Joined Great Eastern Railway 18 December 1911. Enlisted January 1917 in Bury St. Edmunds, Suffolk. Buried in BARLIN COMMUNAL CEMETERY EXTENSION, Pas de Calais, France. Plot II. Row E. Grave 25. Porter - Private 14265, 9th (Service) Battalion, Devonshire Regiment. Died of pneumonia at Aldershot 1 December 1914. Aged 22. Born Dunmow, Essex. Son of Albert William and Susan Harris, of Brewers End, Takeley. Joined Great Eastern Railway April 1913. Enlisted September 1914 in Walthamstow, Essex. Buried in TAKELEY (HOLY TRINITY) CHURCHYARD, Essex. Carriage Washer, Stratford - Private 74587, 125th Company, Labour Corps. Died of wounds 5 April 1918. Aged 29. Born and resident Leytonstone, Essex. Husband of Ada Frances Harris, of 93, Buxton Rd., Stratford, London. Joined Great Eastern Railway circa 1915. Enlisted January 1917 in Leyton, Essex. Formerly 144119, Royal Garrison Artillery then 47793, 17th Labour Company, The Queen's (Royal West Surrey Regiment). Buried in DOULLENS COMMUNAL CEMETERY EXTENSION NO. 1, Somme, France. Plot VI. Row E. Grave 58. Vangaurd, London Cartage Committee - Private 12573, 5th Battalion, Duke of Edinburgh's (Wiltshire Regiment). Killed in action at Gallipoli 10 August 1915. Born March 1886 in Woolwich, London. Resident East Ham, Essex. Joined Great Eastern Railway April 1910. Enlisted 7 September 1914 in Finsbury, London. No known grave. Commemorated on HELLES MEMORIAL, Turkey (including Gallipoli). Panel 156 to 158. Labourer, Stratford Works - Private G/6638, 1st Battalion, The Buffs (East Kent Regiment). Killed in action 15 September 1916. Aged 23. Born Leyton, Essex. Resident Leytonstone, Essex. Joined Great Eastern Railway July 1911. Enlisted September 1914 in Stratford, Essex. No known grave. Commemorated on THIEPVAL MEMORIAL, Somme, France. Pier and Face 5 D.
Boilermaker - Engine Room Artificer 4th Class M/13370, H.M.S. "Lilac", Royal Navy. Accidentally killed when struck by splinters from a projectile while in the execution of his duty 3 July 1915. Aged 22. Born 9 August 1892 in West Ham, Essex. Son of Walter and Mary Jane Hart, of 95, Millais Rd., Leytonstone. Joined Great Eastern Railway circa 1906. Enlisted 5 May 1915 for the duration of the hostilities. Height 5 feet 5 inches, chest 35 inches, brown hair, blue eyes, fresh complexion, profession Boilermaker. In the 1911 census he was aged 18, born Walthamstow, Essex, a Boiler Maker Apprentice Metal Plate Works, resident with his parents, Walter and Mary Jane	Hart, at 95, Millais Road, Leytonstone, Low Leyton, London & Essex. Buried in WEST HAM CEMETERY, Essex. Grave refernce Q.S.E. 116420. Permanent Way Labourer, Trowse - Private 9074, 1st Battalion, Rifle Brigade (The Prince Consort's Own). Killed in action 24 November 1914. Aged 29. Born 7 April 1885 in Norwich. Resident Norwich. Son of Mr. J. S. O. and Mrs. H. E. Hart, of 5, Bracondale Green, Norwich. Joined Great Eastern Railway circa 1910. Enlisted in Norwich. In the 1911 census he was aged 25, born Norwich, a Railway Contractor's Labourer, resident with his parents, John Samuel and Harriet Hart, in Wellington Terrace, 33, Foulgers Opening, Ber Street, Norwich, Norfolk. Joined the Wymondham Railway Workers Branch of the Amalgamated Society of Railway Servants in 1912 aged 27. Buried in RIFLE HOUSE CEMETERY, Hainaut, Belgium. Plot IV. Row E. Grave 6. Assistant Track Horse Driver, Broxbourne - Private 24194, The Buffs (East Kent Regiment). Killed in action 13 October 1917. Aged 20. Born and resident Hoddesden, Herts. Joined Great Eastern Railway June 1913. Enlisted May 1917 in Hertford. In the 1911 census he was aged 13, at school, born Hoddesdon, resident with his parents, George and Amelia Hart, at High Leigh Farm, Hoddesdon, Hertfordshire. No known grave. Commemorated on TYNE COT MEMORIAL, West-Vlaanderen, Belgium. Panel 17. Head Shunter, Cambridge - Private G/63279, 19th (London) Battalion, Duke Of Cambridge's Own (Middlesex Regiment) posted to posted to 19th Battalion, London Regiment. Killed in action 1 September 1918. Born 28 December 1892 in Fulbourn, Cambridgeshire. Resident Mill Road, Cambridge. Admitted to Fulbourn Infants' School in 1896, son of Arthur Hart. Enlisted in Bury St. Edmunds. Formerly 203344, Essex Regiment. In the 1911 census he was aged 18, born Fulbourn, Cambridgeshire, a Carter Millers, resident with his parenst, Arthur and Alice Hart, in Hay Street, Fulbourn, Cambridgeshire. In 1913, aged 20, he was a Porter who joined the Railway Workers Cambridge Branch of the National Union of Railwaymen. No known grave. Commemorated on VIS-EN-ARTOIS MEMORIAL. Pas de Calais, France. Panel 8-9. See also Fulbourn and Fulbourn St Vigor. Porter Shunter, Seven Sisters - Private 3968, 3rd Company, 1st Battalion, Welsh Guards. Died of wounds 24 August 1918. Aged 21. Born Tottenham, Middlesex. Husband of E. M. Hartnell, of 2, Elizabeth Place, Clyde Rd., Tottenham. London. Joined Great Eastern Railway circa 1915. Enlisted May 1917 in Tottenham, Middlesex. Buried in ST. HILAIRE CEMETERY EXTENSION, FREVENT, Pas de Calais, France. Row L. Grave 7. Striker, Stratford, Carriage Department - Sergeant 3944, 1st Battalion, Rifle Brigade (The Prince Consort's Own). Killed in action 28 March 1918. Aged 31. Born September 1887 in Stratford, Essex. Resident Stratford, Essex. Son of John and Mary Eliza Harvey, of 202, Leyton Rd., Stratford. London. Joined Great Eastern Railway 1901, left and rejoined 1914. Enlisted September 1914 in Stratford, Essex. Buried in POINT-DU-JOUR MILITARY CEMETERY, ATHIES, Pas de Calais, France. Plot I. Row J. Grave 10. 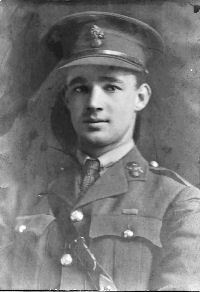 Herbert fell with 20 other men from his Battalion that day. One of those killed was Frederick Lincoln, who had the same prefix 3/ before his service number. This confirms that both he and Herbert enlisted in the 3rd Reserve Battalion, which remained in Britain during WW1. This Battalion, stationed at Harwich, trained men to send out to the three regular battalions in the Norfolk Regiment (1st, 2nd & 3rd), so it’s unusual that Herbert and Frederick found them selves in the 9th. Frederick was also from Norfolk and he too enlisted at Norwich. He too has no known grave and is commemorated on the same panel as Herbert. At the time of Herbert's death, his Battalion was with the 6th Division who were in the Arras sector. Historians tend to mark battles by the ratio of losses and as such, there is no recorded action for the 9th Battalion until the battle for Hill 70 in the August of that year. However, as we can see, men fought and died throughout each and every week. 20 men from one Battalion would make International news today....then, it would get no further than the Battalion Diaries......and even then, the men wouldn't warrant being named!! The 9th were a service Battalion and were formed in September 1914. That same month they attached to 24th Division and shipped to France, but in October 1915 they transferred to the 6th Division, who had been decimated reinforcing the shattered B.E.F. Greaser, Devonshire Street and Canning Town - Bombardier (Fitter) 14096, 108th Battery, 23rd Brigade, Royal Field Artillery. Killed in action 22 April 1917. Aged 22. Born Leyton. Son of Arthur George and Eliza Harvey, of Leyton, London. Joined Great Eastern Railway April 1913. Enlisted in Stratford, Essex. Buried in ST. NICOLAS BRITISH CEMETERY, Pas de Calais, France. Plot I. Row G. Grave 8. General Labourer, Lowestoft, Chief Civil Engineer's Department - Stoker 1st Class SS/101578, H.M.S. "Natal", Royal Navy. Lost whe his ship was sunk 30 December 1915. Aged 28. Born 18 April 1887 in Horsford, Norfolk. Baptised 15 May 1887 in Horsford, Norfolk, son of John Cogman and Susannah Harvey. Son of Mr. and Mrs. John Harvey of, Horsford, Norwich; husband of Mercia Britannia Bridge (formerly Harvey), of Foresters Cottage, Carlton Colville, Lowestoft. Reservist. Recalled 5 August 1914. In the 1911 census he was aged 23, born Horsford, Norfolk, a Labourer, resident with his mother, Susannah Harvey, in Wades Yard, Horsford, Norfolk. Naval records show him as a Bricklayer's Labourer, originally enlisted 15 November 1905 for 5 years plus 7 years as a Reservist, heght 5 feet 9¼ inches, chest 36½ inches, brown hair, brown eyes, fresh complexion. No known grave. Commemorated on CHATHAM NAVAL MEMORIAL, Kent. Panel 11. Parcels Clerk, Southend on Sea - Sergeant 558009, 29th Division Signal Company, Royal Engineers. Killed in action 21 August 1917. Aged 28. Born Camden Town, Middlesex. Resident Stratford, Essex. Son of Mr. and Mrs. Harvey, of 8, St. James's Rd., Stratford, London. Joined Great Eastern Railway May 1904. Enlisted 1914 in London. Awarded the Distinguished Conduct Medal (D.C.M.). Buried in ARTILLERY WOOD CEMETERY, West-Vlaanderen, Belgium. Plot VII. Row A. Grave 11. Clerk, Liverpool Street, Chief Traffic Manager's Department - Private 18143, 2nd Battalion,Prince Of Wales's Leinster Regiment (Royal Canadians). Killed in action 4 September 1918. Aged 20. Born Stratford, Essex. Son of Frederick & Fanny Hasler. Joined Great Eastern Railway January 1912. Enlisted September 1916 in Leyton, Essex. Formerly 7001, London Regiment. No known grave. Commemorated on PLOEGSTEERT MEMORIAL, Hainaut, Belgium. Panel 10. Labourer, Squirrels Heath, Stores Department - Private 3/2603, 1st Battalion, Essex Regiment. Killed in action 1 July 1916. Aged 20. Born and resident Romford, Essex. Joined Great Eastern Railway June 1913. Enlisted in Warley, Essex. No known grave. Commemorated on THIEPVAL MEMORIAL, Somme, France. Pier and Face 10 D.
Platelayer, Wimblington, Civil Engineering Department - Sergeant 21948, 118th Company, Machine Gun Corps (Infantry). Killed in action 21 September 1917. Aged 25. Resident Wimblington, Camb. Son of William and Lilian Hassock, of The Railway Inn, Wimblington, Cambs. Joined Great Eastern Railway 18 June 1911. Enlisted October 1914 in Cambridge. Formerly 3014, Cambridgeshire Regiment. No known grave. Commemorated on TYNE COT MEMORIAL, West-Vlaanderen, Belgium. Panel 154 to 159 and 163A. See also Wimblington. Clerk, Swaffham - Leading Telegraphist London Z/6091, H.M.S. "President IV", Royal Naval Volunteer Reserve. Died from disease in Deal Hospital 29 November 1918. Aged 28. Born Narborough, Norfolk 10 February 1890, baptised 7 July 1895 in Narborough, son of Arthur and Susannah Reeder. Husband of Dorothy E. Haverson (nee Reeder), of Narford Park, Swaffham, Norfolk; married 1916. Joined Great Eastern Railway circa 1905. Enlisted January 1917. In the 1911 census he was aged 21, born Narborough, Norfolk, a Railway Clerk, resident with his parents, Arthur and Susannah Reeder, in Riverside, Narborough, Swaffham, Norfolk. Buried in South-West corner of NARBOROUGH (ALL SAINTS) CHURCHYARD, Norfolk. Carriage Cleaner, Stratford - Private 7201, 2nd Battalion, Queen's Own Cameron Highlanders. Died of wounds 2 October 1914. Born Fort George, Inverness-Shire. Resident London, Middlesex. Joined Great Eastern Railway 8 June 1914. Originally enlisted 1905, serving in South Africa and Far East. Enlisted Warley. Buried in VENDRESSE CHURCHYARD, Aisne, France. Grave lost. Special memorial 14. Stableman, Bishopsgate - Private 545009, 1st/15th (County of London) Battalion (Prince of Wales' Own Civil Service Rifles), London Regiment posted to 2nd Battalion, King's Royal Rifle Corps. Killed in action 21 November 1917. Resident Stratford. Joined Great Eastern Railway 21 September 1914. Enlisted March 1917 in London. Formerly 375241, 8th Battalion, London Regiment. No known grave. Commemorated on TYNE COT MEMORIAL, West-Vlaanderen, Belgium. Panel 152. Vanguard, Goodman's Yard - Gunner 87313, "X"/12th Trench Mortar Battery, Royal Field Artillery. Killed in action 28 June 1916. Born Whitechapel. Enlisted London, E. Joined Great Eastern Railway August 1910. Enlisted August 1914. Buried in BLIGHTY VALLEY CEMETERY, AUTHUILLE WOOD, Somme, France. Plot II. Row A. Grave 7. Permanent Way Labourer - Private 23087, 2nd Battalion, Border Regiment. Killed in action 26 October 1917. Aged 25. Born Warlingham, Suffolk. Resident Flodden, Norfolk. Son of William R. and Ruth E. Hazel, of Wood Farm, Shottesham, Norwich. Joined Great Eastern Railway 26 May 1913. Enlisted 12 April 1915 in Norwich. Formerly 19151, Norfolk Regiment. No known grave. Commemorated on TYNE COT MEMORIAL, West-Vlaanderen, Belgium. Panel 85 to 86. Parcels Porter, Chelmsford - Private 30333, 8th Battalion, Norfolk Regiment. Killed in action 22 October 1917. Aged 19. Born Chelmsford, Essex. Son of Mr. and Mrs. J. Heard, of 4, Haycocks Row, Broomfield Rd., Chelmsford, Essex. Joined Great Eastern Railway March 1912. Enlisted December 1916 in Chelmsford, Essex. No known grave. Commemorated on TYNE COT MEMORIAL, West-Vlaanderen, Belgium. Panel 34 to 35 and 162A. Apprentice Boilermaker - Engine Room Artificer 4th Class M/13783, H.M.S. "Indefatigable", Royal Navy. Killed in action at the Battle of Jutland 31 May 1916. Aged 21. Born February 1896. Son of Mr. John James and Mrs. Elizabeth Hedges, of 16, Heaton Place, Stratford, London; husband of Winfred M. Hedges (nee Simlick), of 25, Seaview Rd., Southend-on-Sea, married 1915 in West Ham. Joined Great Eastern Railway March 1910. Enlisted June 1915. In the 1911 census he was aged 15, born Stratford, Essex, a Boiler Makers Apprentice, resident with his parents, John James and Elizabeth Hedges, aqt 16 Heaton Place Stratford, West Ham, London & Essex. No knwon grave. Commemorated on CHATHAM NAVAL MEMORIAL, Kenjt. Panel 17. Clerk, Bishopsgate Accounts Office - Private 41326, 10th Battalion, Royal Warwickshire Regiment. Died of wounds 2 June 1918. Aged 20. Born and resident Waltham Cross, Herts. Joined Great Eastern Railway 7 August 1912. Enlisted 3 March 1917 in Cheshunt, Herts. Formerly 46469, Surrey Yeomanry. Buried in SEZANNE COMMUNAL CEMETERY, Marne, France. Row C. Grave 22. Carboner, Parkeston Quay, Electrical Engineering Department - Battery Quartermaster Sergeant 340028, 258th Siege Battery, Royal Garrison Artillery. Died of wounds 29 June 1918. Aged 34. Born Dovercourt, Essex. Son of Walter Hempstead, of Dovercourt, Essex; husband of Annie Hempstead, of 9, Cotton Lane, Bury St. Edmund's. Joined Great Eastern Railway March 1909. Enlisted August 1914 in Harwich. Buried in ST. SEVER CEMETERY EXTENSION, ROUEN, Seine-Maritime, France. Section Q. Plot II. Row C. Grave 20. Carboner, Parkeston Quay, Electrical Engineer's Department - Sergeant 122422, 174th Siege Battery, Royal Garrison Artillery. Killed in action 25 September 1918. Born Hillsborough, Co. Down. Resident Parkeston, Essex. Joined Great Eastern Railway January 1908. Reservist. Recalled August 1914. Enlisted in Harwich. Awarded the Military Medal (M.M.). Formerly 87, Essex and Suffolk Royal Garrison Artillery. Buried in JEANCOURT COMMUNAL CEMETERY EXTENSION, Aisne, France Plot II. Row B. Grave 5. Clerk, Bury St Edmunds - Private 2251, 1st/5th Battalion, Suffolk Regiment. Killed in action at Gallipoli 7 September 1915. Aged 19. Son of Harry and Hagar Henley, of The Gardens, Cheveley Park, Newmarket. Joined Great Eastern Railway circa 1911. Enlisted September 1914 in Bury St. Edmunds. Buried in 7TH FIELD AMBULANCE CEMETERY, Turkey (including Gallipoli). Plot IV. Row B. Grave 12. [Spelt HENNESEY on memorial] Labourer, Stratford, Engineers Department - Private 8158, 2nd Battalion, Essex Regiment. Killed in action 1 November 1914. Aged 35. Born West Ham, Essex. Resident Stratford, Essex. Son of Mrs. Mary Hennessey, of 65, Chapel St., Stratford, London. Joined Great Eastern Railway October 1912. Reservist. Enlisted Ilford, Essex. No known grave. Commemorated on PLOEGSTEERT MEMORIAL, Hainaut, Belgium. Panel 7. Horsekeeper, Bishopsgate, London Cartage Committee - Sergeant 13235, 8th Battalion, Lincolnshire Regiment. Killed in action 3 July 1916. Born Hackney, Middlesex. Enlisted Hackney, Middlesex. Joined Great Eastern Railway October 1906. No known grave. Commemorated on THIEPVAL MEMORIAL, Somme, France. Pier and Face 1 C.
[Also spelt Laurence] Fish Checker, Yarmouth (Vauxhall) - Private 23822, 1st Battalion, Norfolk Regiment. Killed in action 4 September 1916. Aged 20. Born Forncett, Norfolk. Son of Henry and Amelia Herod,of 5 Station Terrace, Runham, Vauxhall, Great Yarmouth. Joined Great Eastern Railway July 1910. Enlisted February 1916 in Great Yarmouth, Norfolk. Buried in COMBLES COMMUNAL CEMETERY EXTENSION, Somme, France. Plot III. Row E. Grave 30. See also Tharston and Great Yarmouth. Clerk, Stratford Market, Stationery Stores - Private 2504, "A" Company, 3rd (City of London) Battalion (Royal Fusiliers), London Regiment. Killed in action at Gallipoli 28 November 1915. Aged 18. Resident Stratford. Son of Frederick and Isabel Herridge, of 57, Victoria St., Stratford, London. Joined Great Eastern Railway July 1911. Enlisted September 1914 in Edward Street. No known grave. Commemorated on HELLES MEMORIAL, Turkey (including Gallipoli). Panel 197 to 198. Clerk, Trimley - Private 20170, 2nd Battalion, Suffolk Regiment. Killed in action 21 March 1918. Aged 19. Born West Sculcoates, Yorkshire. Joined Great Eastern Railway July 1912. Enlisted May 1915 in Ipswich. No known grave. Commemorated on ARRAS MEMORIAL, Pas de Calais, France. Bay 4. Signal Box Lad, Lea Bridge - Driver 94027, 64th Brigade, Royal Field Artillery. Killed in action 11 October 1917. Aged 20. Born Tottenham, N. Joined Great Eastern Railway July 1912. Enlisted February 1915 in Tottenham, N. Buried in POTIJZE CHATEAU GROUNDS CEMETERY, West-Vlaanderen, Belgium. Plot II. Row D. Grave 29. Porter, Woodham Ferrers - Private 23491, 7th/8th Battalion, Princess Victoria's (Royal Irish Fusiliers). Killed in action 19 February 1918. Aged 22. Born Shoreditch. Resident Hackney, London N.E., Middlesex. Joined Great Eastern Railway 1915. Enlisted June 1915 in Shoreditch. Formerly 22319, Duke of Cornwall's Light Infantry. Buried in GRAND-SERAUCOURT BRITISH CEMETERY, Aisne, France. Plot I. Row A. Grave 17. Under Shunter, Temple Mills - Private 495576, 13th (County of London) Battalion (Kensington, Princess Louise's), London Regiment attaached to 2nd/6th (City of London Rifles) Battalion, London Regiment. Killed in action 30 October 1917. Aged 32. Born and resident West Ham. Joined Great Eastern Railway circa 1899/1900. Enlisted 1917 in Shoreditch. No known grave. Commemorated on TYNE COT MEMORIAL, West-Vlaanderen, Belgium. Panel 150 to 153. [Listed a P H HITCH on memorial] Clerk, Ilford Station - Drummer 6299, 1st/4th (City of Bristol) Battalion (Territorial), Gloucestershire Regiment. Killed in action 18 August 1916. Aged 18. Born Romford, Essex. Son of Mr. and Mrs. Hitch, of 50, Como St., Romford, Essex. Joined Great Eastern Railway 1912. Enlisted 4 August 1914 in Romford, Essex. Buried in POZIERES BRITISH CEMETERY, OVILLERS-LA BOISSELLE, Somme, France. Plot IV. Row F. Grave 45. Platelayer, Burnham on Crouch - Acting Lance Corporal 1909, 4th Battalion, Essex Regiment. Killed in action at Gallipoli 20 August 1915. Born Maldon, Essex. Resident Burnham on Crouch. Joined Great Eastern Railway 26 April 1913. Enlisted 1914 in Burnham on Crouch. No known grave. Commemorated on HELLES MEMORIAL, Turkey (including Gallipoli). Panel 146 to 151 or 229 to 233. Vanguard, London Cartage Committee - Private 53166, Royal Army Medical Corps attached 2nd Battalion, Suffolk Regiment. Killed in action 1 May 1917. Aged 22. Born December 1895 in Homerton, Essex. Son of Mrs. Alice Jane Hodges, of 49, Hartington Rd., Station Rd., Walthamstow, Essex. Joined Great Eastern Railway February 1910. Enlisted 9 September 1914 in Shoreditch, Middlesex. No known grave. Commemorated on ARRAS MEMORIAL, Pas de Calais, France. Bay 10. Signal Box Lad, Liverpool Street - Private 14298, 8th Battalion, Royal Fusiliers (City of London Regiment). Killed in action 7 July 1916. Aged 20. Born and resident Manor Park, Essex. Son of Harry and Sarah Anne Hodson, of 4, Gloucester Rd., Manor Park, Essex. Joined Great Eastern Railway December 1909. Enlisted March 1915 in Ilford. No known grave. Commemorated on THIEPVAL MEMORIAL, Somme, France. Pier and Face 8 C 9 A and 16 A. Clerk, Bishopsgate - Private 31557, 10th Battalion, Essex Regiment. Killed in action 16 October 1917. Aged 19. Born and resident Romford, Essex. Son of William James and Mary Grace Holby, of 19, Waterloo Rd., Romford. Joined Great Eastern Railway 2 January 1912. Enlisted 27 July 1916 in Warley, Essex. No known grave. Commemorated at TYNE COT MEMORIAL, West-Vlaanderen, Belgium. Panel 98 to 99. Carriage Washer, Palace Gates - Private T4/262281, 538th Heavy Transport Company, Royal Army Service Corps. Died in Military Hospital in Ireland 6 January 1919. Aged 28. Born Edmonton, Middlesex. Joined Great Eastern Railway 1916. Enlisted September 1916. Buried in NEW SOUTHGATE CEMETERY, Hertfordshire. Screen Wall. AN. 237. Apprentice Fitter, Norwich CME - Air Mechanic 1st Class F/27033, R.N. Air Station (Felixtowe), Royal Naval Air Service. Lost in H.M. Seaplane no. 4338, prssumed killed in action 15 February 1918. Aged 19. Born 4 January 1899 [4 July 1899 on some service records] in Norwich, Norfolk. Baptised 30 July 1899 at Norwich, St Etheldreda. Son of Joseph and Clara Hollidge, of 65, Rosary Rd., Thorpe Hamlet, Norwich. Joined Great Eastern Railway December 1913. Enlisted in R.N.A.S. 17 March 1917 for the duration of hostilities. Height 5 feet 9 inches, chest 35½ inches, brown hair, grey eyes, fresh complexion. No known grave. Commemorated on CHATHAM NAVAL MEMORIAL, Kent. Panel 30. Foreman, First Class, Plaistow and West Ham - Private G/10596, "A" Company. 2nd Battalion. Duke of Cambridge's Own (Middlesex Regiment). Died of wounds 30 July 1916. Aged 36. Born Canning Town, Essex. Son of James and Mary Arm Hood, of Bethnal Green Rd., London; husband of Mary Elizabeth Hood, of 48, Mafeking Rd., Hermit Rd., Canning Town, London. Joined Great Eastern Railway May 1899. Enlisted May 1915 in Canning Town, Essex. Buried in BETHUNE TOWN CEMETERY, Pas de Calais, France. Plot V. Row G. Grave 57. Clerk, Audit Office - Lance Corporal 46909, "Y" Company, 18th Battalion, Lancashire Fusiliers. Died of wounds 11 June 1918. Aged 20. BornStratford, Essex. Son of Thomas James Hooks, of 25, Glenavon Rd., Stratford, London. Joined Great Eastern Railway June 1912. Enlisted January 1917 in Leyton, Essex. Formerly 229100, Royal Engineers. Buried in BAGNEUX BRITISH CEMETERY, GEZAINCOURT, Somme, France. Plot III. Row B. Grave 24. Labourer - Corporal 48356, 87th Company, Royal Engineers. Died of wounds 13 October 1915. Aged 24. Born Paddington, London. Son of Henry E. and Louise Horn, of 38, Dean's Rd., Hanwell, Middlesex. Enlisted in Westminster, Middlesex. Buried in LONGUENESSE (ST. OMER) SOUVENIR CEMETERY, Pas de Calais, France. Plot II. Row A. Grave 58. Assistant Steward, Continental steamers - Lance Corporal 12667, 1st Battalion, Northamptonshire Regiment. Killed in action 9 May 1915. Aged 21. Born Ramsey, Essex. Son of R. Horne, of 42, Church St., Harwich, Essex, and the late Charles Horne. Joined Great Eastern Railway 17 March 1910. Enlisted 26 August 1914 in Harwich, Essex. No known grave. Commemorated on LE TOURET MEMORIAL, Pas de Calais, France. Panel 28 to 30. Smith, Stratford, Carriage Department Smithy - Acting Second Corporal 48792, 153rd Field Company, Royal Engineers. Killed in action at Fricourt by a bomb exploding during a trench raid 29 June 1916. Aged 25. Born Stratford, Essex. Husband of Emily Alice Howell, of 55, Maud Rd., Plaistow, London. Joined Great Eastern Railway February 1906. Enlisted September 1914 in Stratford, Essex. Buried in BERLES-AU-BOIS CHURCHYARD EXTENSION, Pas de Calais, France. Row Q. Grave 2. Boilermaker's Assistant - Private G/2945, 1st Battalion, Duke of Cambridge's Own (Middlesex Regiment). Died of wounds 24 April 1917. Aged 31. Born Stratford, Essex. Son of Tom and Kate Eleanor Howell, of 60, Evesham Rd., The Portway, West Ham, London. Joined Great Eastern Railway December 1901. Enlisted September 1914 in Stratford, Essex. Buried in WARLINCOURT HALTE BRITISH CEMETERY, SAULTY, Pas de Calais, France. Plot X. Row E. Grave 3. Assistant Number Taker, North Woolwich (Goods) - Private 29014, 1st/5th Battalion (Territorial), Royal Warwickshire Regiment. Killed in action 23 August 1917. Aged 21. Born Mile End, Middlesex. Resident Bethnal Green, London. Joined Great Eastern Railway January 1915. Enlisted April 1917 in Shoreditch, London. No known grave. Commemorated at TYNE COT MEMORIAL, West-Vlaanderen, Belgium. Panel 23 to 28 and 163A. [Listed as N HOWES on CWGC] Porter, Bishopsgate Goods - Corporal 20715, 45th Company, Machine Gun Corps (Infantry). Killed in action 28 August 1916. Born Shoreditch, Middlesex. Joined Great Eastern Railway March 1914. Enlisted August 1914 in Finsbury. Formerly 8217, Royal Fusiliers (City of London Regiment). Buried in CATERPILLAR VALLEY CEMETERY, LONGUEVAL, Somme, France. Plot XVI. Row J. Grave 18. [Listed as Joseph Richard on SDGW & CWGC] Labourer, Chief Civil Engineer's Department - Private 12195, 7th Battalion, Norfolk Regiment. Killed in action 13 October 1915. Aged 30. Born Catton, Norfolk. Son of Mrs. Lottie Elizabeth Howes-Bassett; husband of Alice Watts Howes, of 13, Flower in Hand Yard, Heigham St., Norwich. Joined Great Eastern Railway May 1913. Enlisted August 1914 in Norwich, Norfolk. No known grave. Commemorated on LOOS MEMORIAL, Pas de Calais, France. Panel 30 and 31. Clerk, Coltishall - Private 23600, 1st Battalion, Norfolk Regiment. Killed in action 23 April 1917. Aged 20. Born Broome, Bungay, Suffolk. Son of John Thomas Howlett and Susanna Maria Howlett, of Railway House, Carrow Rd., Thorpe Hamlet, Norwich. Joined Great Eastern Railway circa 1913. Enlisted January 1916 in Norwich, Norfolk. No known grave. Commemorated on ARRAS MEMORIAL, Pas de Calais, France. Bay 3. 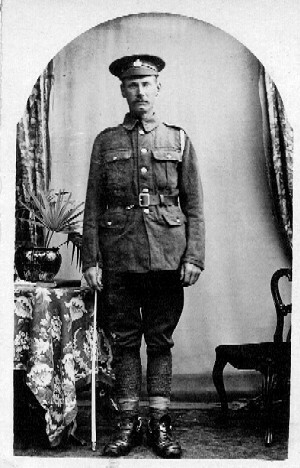 Assistant Storernan, Stratford Power House - Private 282482, 4th (City of London) Battalion (Royal Fusiliers), London Regiment. Killed in action 17 May 1917. Aged 25. Born Beckenham. Resident Leytonstone. Joined Great Eastern Railway circa 1914. Enlisted in Leyton. Buried in NOREUIL AUSTRALIAN CEMETERY, Pas de Calais, France. Row C. Grave 3. Clerk, Divisional Commerical Superintendent's Office, Norwich - Private G/24527, 7th Battalion, Queen's (Royal West Surrey Regiment). Killed in action 28 September 1916. Aged 27. Born St. Paul's, Norfolk. Resident Norwich, Norfolk. Joined Great Eastern Railway July 1904. Enlisted March 1916 in Norwich, Norfolk. Formerly 2356, Royal Sussex Regiment. Buried in MILL ROAD CEMETERY, THIEPVAL, Somme, France. Plot XIII. Row G. Grave 10. Porter, Goodman's Yard - Able Seaman 206342, H.M.S. "Cressy", Royal Naval Reserve. Lost in the North Sea when his ship was sunk by a German Submarine. 22 September 1914. Born 15 November 1883 in Bethnal Green, London. Baptised 23 December 1883 at St Jude, Bethnal Green, son of Edwin and Elizabeth Ann Hull, of 28 Hereford Street, Bethnal Green. His wife lived at 93 Carr Rd, Forest Road, Walthamstow, E. Joined Great Eastern Railway November 1913. Enlisted 15 November 1901 for 12 years. Reservist. Height 5 feet 4¼ inches, brown hair, brown eyes, sallow complexion. No known grave. Commemorated on CHATHAM NAVAL MEMORIAL, Kent. Panel 2. Booking Clerk, Theydon Bois - Private 91767, 1st/6th Battalion, Durham Light Infantry. Died as a Prisoner of War in Germany 31 October 1918. Aged 19. Born Havering-Atte-Bower, Essex. Son of Mr. Walter A. and Mrs. Sarah A. Humby, of 2, Bartholomew Villas, High Rd., Loughton, Essex. Resident Longhton. Joined Great Eastern Railway March 1915. Enlisted October 1917 in Romford. Height 5 feet 5 inches, weight 116 lbs, chest 34 inches. Body recumed and buried in HEVERLEE WAR CEMETERY, Vlaams-Brabant, Belgium. Plot XI. Row A. Grave 3. Labourer, Stratford, CME - Lance Corporal 275805, 6th Battalion, Essex Regiment. Died at sea 30 December 1917. Aged circa 24. Resident Bow, Middlesex. Joined Great Eastern Railway January 1912. Enlisted January 1915 in West Ham, Essex. No known grave. Commemorated on CHATBY MEMORIAL, Egypt. Porter, Stepney - Guardsman 24149, 2nd Battalion, Grenadier Guards. Died of wounds 26 September 1916. Aged 21. Born Brentwood. Son of Charles and Margret Humphreys, of 59, George St., Romford, Essex. Joined Great Eastern Railway circa 1913. Enlisted August 1915 in Romford. Buried in GROVE TOWN CEMETERY, MEAULTE, Somme, France. Plot I. Row E. Grave 25. Goods Porter, Bishopsgate - Corporal L/10391, 1st Battalion, Royal Fusiliers (City of London Regiment). Killed in action 31 July 1917. Aged 33. Born Edmonton. Resident Tottenham. Husband of Mrs. E. A. Humphreys, of 5, Brunswick Court, High Rd., Tottenham, London. Joined Great Eastern Railway circa circa 1904. Enlisted 1914 in Tottenham. In the 1911 c3ensus he was aged 28, married to Edith, with two duaghters and two sons, born Edmonton Middlesex, a Railway Porter, married 1905, resident 38, Bridport Road, Upper Edmonton, Middlesex. Buried in HOOGE CRATER CEMETERY, West-Vlaanderen, Belgium. Plot IX. Row K. Grave 6. Porter, Ware - Sergeant 10999, 7th Battalion, Duke of Cornwall's Light Infantry. Killed in action 11 April 1916. Aged 20. Born January 1896 in Margaretting, Essex. Resident Ware, Hertfordshire. Son of Mrs. Ellen Martha Humphreys, of 15, Bradley Rd., Enfield Lock, Enfield, Middlesex. Joined Great Eastern Railway 1910. Enlisted 1914 in London. No known grave. Commemorated on YPRES (MENIN GATE) MEMORIAL, West-Vlaanderen, Belgium. Panel 20. [Also listed as HUMPHREYS in records] Permanent Way Labourer, Chief Civil Engineer's Department - Sapper 100082, 113th Railway Company, Royal Engineers. Died after contracting pneumonia 12 February 1917. Aged 40. Born Haverhill, Suffolk. Resident Edmonton, Middlesex. Son of Mr. and Mrs. John Humphreys, of Chesnut Rd., Tottenham, London; husband of Mrs. E. Humphreys, of 56, Florence Rd., Edmonton, London. Joined Great Eastern Railway 1898. Enlisted 1915 in Tottenham, Middlesex. Buried in AVESNES-LE-COMTE COMMUNAL CEMETERY EXTENSION, Pas de Calais, France. Plot IV. Row B. Grave 5. Carriage Cleaner, Stratford - Private 275997, 6th Battalion, Essex Regiment. Killed in action in Palestine 27 March 1917. Aged 22. Resident Stratford, Essex. Son of William Henry and Ruth Tanner Hunt, of 50, Sandal St., Stratford, London. Joined Great Eastern Railway July 1914. Enlisted West Ham, Essex. No known grave. Commemorated on JERUSALEM MEMORIAL, Israel and Palestine (including Gaza). Panels 32 to 38. Porter, Stepney - Private 375317, 8th (City of London) Battalion (Post Office Rifles), London Regiment. Died of wounds 19 April 1918. Aged 20. Born and resident Limehouse. Son of Rosetta Agnes Oyston (formerly Hunt), of 8, Cantrell Rd., Burdett Rd., Bow, London. Joined Great Eastern Railway June 1915. Enlisted March 1917 in Stratford. Buried in NAMPS-AU-VAL BRITISH CEMETERY, Somme, France. Plot II. Row B. Grave 19. Vanshifter, Bishopsgate, London Cartage Committee- Private 28315, 1st Battalion, Oxfordshire and Buckinghamshire Light Infantry. Killed in action in Mesopotamia 25 February 1918. Aged 21. Born Stepney, Middlesex. Resident Mile End, Middlesex. Son of Mr. H. and Mrs. M. A. Hunter, of 37, Longnor Rd., Mile End, London. Joined Great Eastern Railway January 1911. Enlisted 28 November 1916 in Stephey, Middlesex. Formerly S/28992, Rifle Brigade. Buried in BAGHDAD (NORTH GATE) WAR CEMETERY, Iraq. Plot XVIII. Row E. Grave 13. Clerk, Chief Civil Engineer's Department - Sergeant 880010, 271st Brigade (Territorial Force), Royal Field Artillery. Died in hospital in Cairo after an operation 19 March 1917. Aged 28. Born London. Joined Great Eastern Railway circa 1900. Territorial. Enlisted in London. Buried in CAIRO WAR MEMORIAL CEMETERY, Egypt. Section F. Grave 200. Porter, Bishopsgate - Private S/32552, Rifle Brigade (The Prince Consort's Own) posted to 1st/28th Battalion (Artists' Rifles), London Regiment. Killed in action 8 November 1918. Aged 25. Born, March 1893, and resident Plaistow, Essex. Son of Edward and Mary Husson, of West Ham, London. Joined Great Eastern Railway November 1914. Enlisted May 1917 in Shoreditch, Middlesex. Buried on North-West side of cross-path in DOUR COMMUNAL CEMETERY, Hainaut, Belgium.